Barry is a Chartered Accountant, has a BSc degree in economics from City University, London and has a certificate in Japanese language fluency from Keio University, Tokyo. 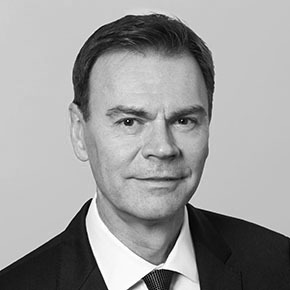 Barry was previously Partner, Managing Director and Portfolio Manager at Artisan Partners where he set up, lead-managed and was sole decision maker on their Global Equity strategy and opened the London office (2010-2013). Artisan’s Global Equity fund had top decile performance under his tenure, with buy ratings from leading global consultants. Before that Barry was a Managing Director and Portfolio Manager at MFS (1996-2010) where he was portfolio manager of MFS International Growth Fund (2001-2010) and co-manager of MFS Global Growth Fund (2003-2010). Total funds managed were approximately $6 billion. During his tenure these funds had consistent top quartile performance and had top rankings with major consultants. Barry worked in Boston, Tokyo (where he opened the MFS office) and London with MFS during his time at the firm. Previous history was as an Executive Director and head of global technology research at SG Warburg in Tokyo (1992-1996), head of research and technology analyst covering Japanese technology at James Capel, Tokyo (1988-1992), investment analyst covering European technology at Phillips & Drew, London (1984-1988) and he started his career at Arthur Andersen as a Chartered Accountant in London (1981-1984). © Copyright Intermede Investment Partners Limited. All rights reserved.